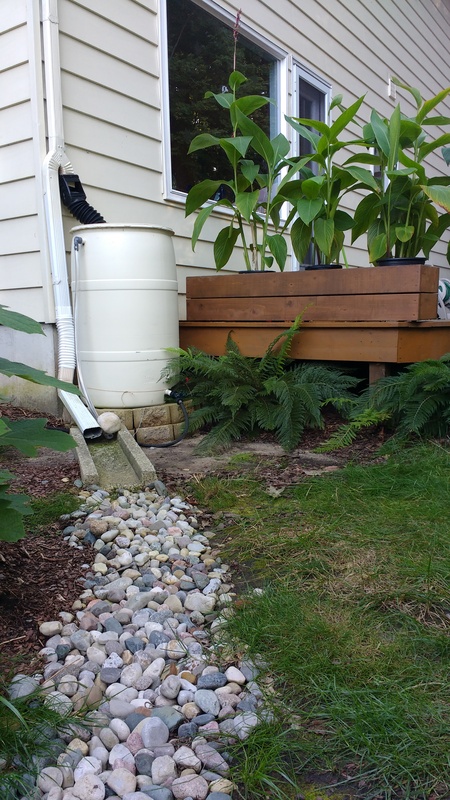 Some years ago, we got three rain barrels from WMEAC , to slow water running off of our roof, extending the time that our plants get watered, and reducing the amount of water that flows down the gutters of our street, into our neighborhood's wetland, our unnamed creek, and downstream into Carl Creek and the Grand River. Our handyman installed our rain barrels as best he could. 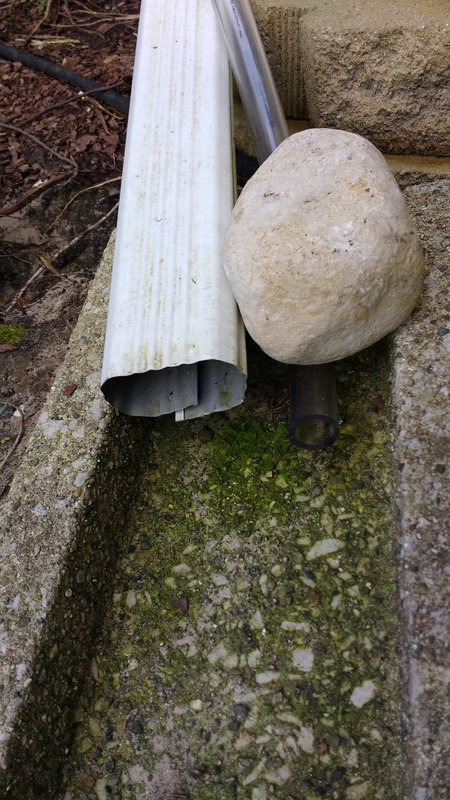 And he left us the old downspout he had cut, so we might be able to put thing back come winter. But that was a HUGE job. And bringing out the rain barrel again in the Spring, and hooking it up? There had to be a better way! This document is my attempt to minimize these problems. As I recall, rain barrels had no instructions with them, other than the verbal instructions we got during our rain barrel workshop. After pushing them for years, I see that WMEAC now has instructions for installing rain barrels (.pdf) . Downspout valve. TODO: describe finding one and installing it. Include photos. Soaker hose constrictor. TODO: describe this. Include photos. This is going to be important, and no one warned me about this! TODO: describe this. Include cleaning out filter, vinegar or bleach. Using photos. 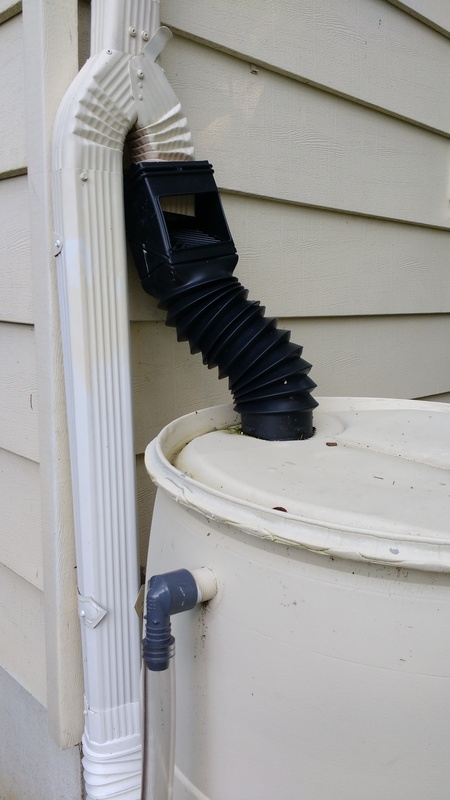 Flip 3 downspout valves from channel to rain barrel. Shake the barrel. 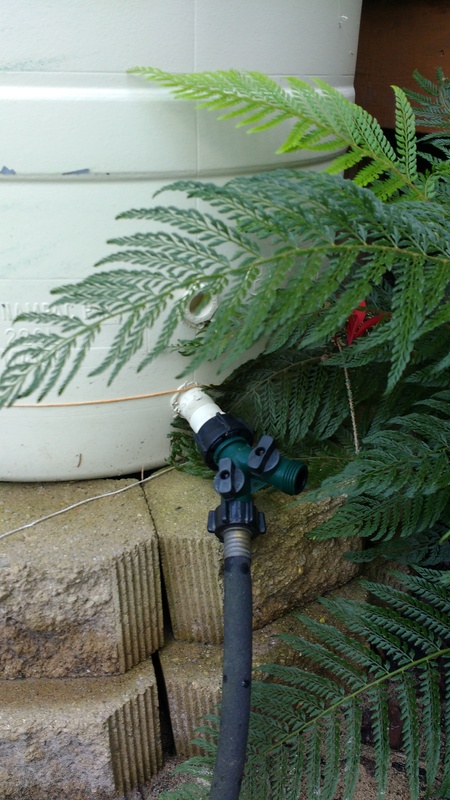 If full of water (and it shouldn't be, as in it didn't just rain a ton), verify that the barrel is not plugged with algae. I unscrew the hose at the boom, and run a wire in through the fitting and into barrel running it in a out a few time. If I have a wire-strainer here at the hose connection, I clean it out. If necessary, open the cap at the end of the soaker hose, attached a real hose to it, and flush it out. If necessary, look into flushing out the algae from inside the barrel (¿how?). If necessary, look into killing the algae in the barrel with a ¿monthly? ¿amount? of ¿vinegar? or ¿bleach? (never both). Cover entry to keep out mosquitos? If you find something that works for you, please let me know with the button at the bottom of this page—thanks! 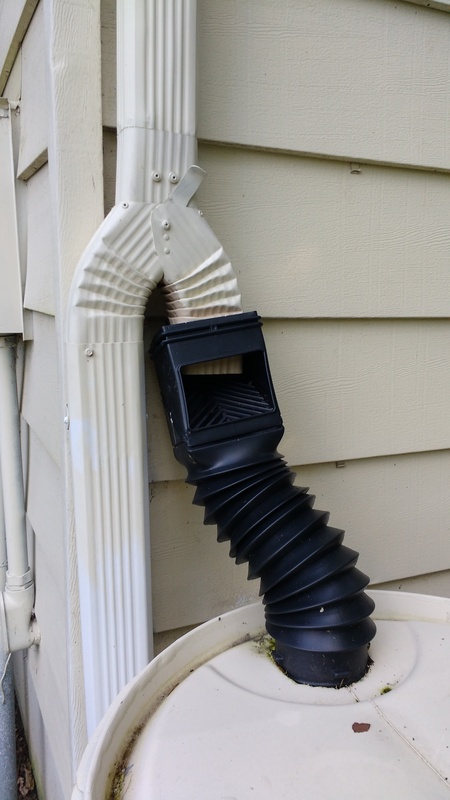 Flip 3 downspout valves from rain barrel to channel. --Eric Piehl comments on web rainBarrels.html v1.0.4.6 2019-03-23, copyright © 2015-2019 by Eric Piehl.